The central heat plant at Loring Air Force Base in Limestone, Maine. 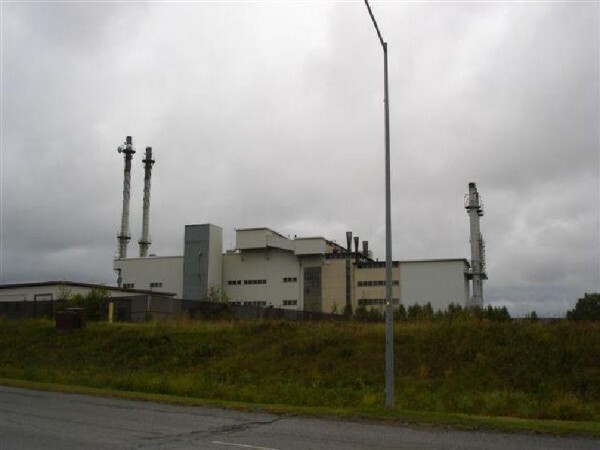 LIMESTONE, Maine — The central heat plant at the former Loring Air Force Base is expected to be imploded on Aug. 13 to clear space for industrial expansion and growth, according to a press release from the company that will do the work. “This is the company’s biggest demolition project, and I believe the biggest implosion ever in the state of Maine,” said Steve Milley, founder, president and owner of Engineered Products Company Inc., in the press release. The Portland company specializes in commercial and industrial demolition. The heat plant was built in 1947 and shut down in 1994. Located at one of the U.S. strategic air command bases, it provided heat and hot water to more than 10,000 officers, airmen, dependents and civilians during the Cold War. Several parts of Loring have been repurposed, including the airfield, arch hangar, double cantilever hangar and weapons storage and alert areas. Many are part of Loring Commerce Centre.